In case you missed it, 2019 is officially the International Year of the Periodic Table, marking 150 years since Dmitri Mendeleev discovered the “Periodic System”. Around 400 BCE, the Greek philosopher Democritus (along with a couple of others) suggested that everything was composed of indivisible particles, which he called “atoms” (from the Greek atomos). The term ‘elements’ (stoicheia) was first used around 360 BCE by Plato, although at that time he believed matter to be made up of tiny units of fire, air, water and earth. Skipping over a few centuries of pursuing what was, we know now, a bit of a dead-end in terms of the whole earth, air, fire and water thing, in 1661, Robert Boyle was probably the first to state that elements were the building blocks of matter and were irreducible but, and this was the crucial bit, that we didn’t know what all the elements were, or even how many there might be. 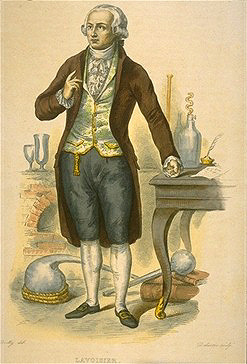 Antoine Lavoisier wrote one of the first lists of chemical elements. Antoine Lavoisier (yep, him again) wrote one of the first lists of chemical elements, in his 1789 Elements of Chemistry. He listed 33 of them, including some that turned out not to be elements, such as light. Things moved on pretty quickly after that. Just thirty years later, Jöns Jakob Berzelius had worked out the atomic weights for 45 of the 49 elements that were known at that point. So it was that by the 1810s, chemists knew of 50 or so chemical elements, and had atomic weights for most of them. It was becoming clear that more elements were going to turn up, and the big question became: how do we organise this ever-increasing list? It was a tricky problem. Imagine trying to put together a jigsaw puzzle where two-thirds of the pieces are missing, there’s no picture on the box, and a few pieces have been tossed in from other puzzles for good measure. Enter Johann Döbereiner, who in 1817 noticed that there were patterns in certain groups of elements, which he called triads. For example, he spotted that lithium, sodium and potassium behaved in similar ways, and realised that if you worked out the average atomic mass of lithium and potassium, you got a value that was close to that of sodium’s. At the time he could only find a few triads like this, but it was enough to suggest that there must be some sort of structure underlying the list of elements. In 1826 Jean-Baptiste Dumas (why do all these chemists have first names starting with J?) perfected a method for measuring vapour densities, and worked out new atomic mass values for 30 elements. He also set the value for hydrogen at 1, in other words, placing hydrogen as the “first” element. Newland’s table of the elements had “periods” going down and “groups” going across, but otherwise looks quite familiar. Next up was John Newlands (another J! ), who published his “Law of Octaves” in 1865. Arranging the elements in order of atomic mass, he noticed that properties seemed to be repeating in groups of eight. His rows and columns were reversed compared to what we use today — he had groups going across, and periods going down — but apart from that the arrangement he ended up with is decidedly familiar. Other chemists, though, didn’t appreciate the musical reference, and didn’t take Newlands very seriously. Which brings us, finally, to Dmitri Mendeleev (various other spellings of his name exist, including Dmitry Mendeleyev, but Dmitri Mendeleev seems to be the most accepted one). His early life history is a movie-worthy story (I won’t go into that else we’ll be here all day, but check it out, it’s really quite amazing). When he was just 35 he made a formal presentation to the Russian Chemical Society, titled The Dependence between the Properties of the Atomic Weights of the Elements, which made a number of important points. He noted, as Newlands had already suggested, that there were repeating patterns in the elements, or periodicity, and that there did indeed seem to be connections between sequences of atomic weights and chemical properties. 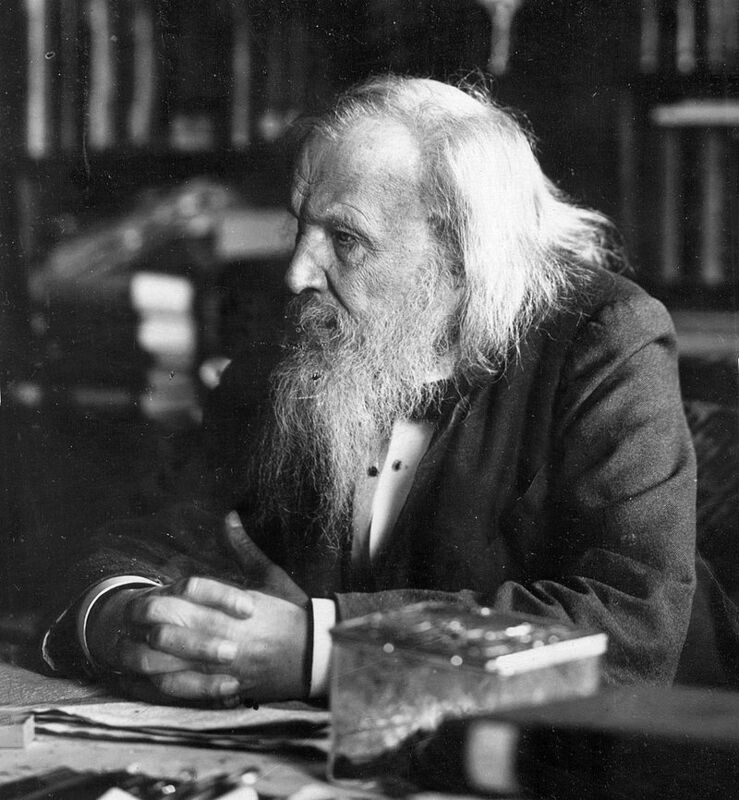 Dmitri Mendeleev suggested there were many elements yet to be discovered. Most famously, Mendeleev suggested that there were many elements yet to be discovered, and he even went so far as to predict the properties of some of them. For example, he said there would be an element with similar properties to silicon with an atomic weight of 70, which he called ekasilicon. The element was duly discovered, in 1886 by Clemens Winkler, and named germanium, in honor of Germany: Winkler’s homeland. Germanium turns out to have an atomic mass of 72.6. Mendeleev also predicted the existence of gallium, which he named ekaaluminium, and predicted, amongst other things, that it would have an atomic weight of 68 and a density of 5.9 g/cm3. When the element was duly discovered by the French chemist Paul Emile Lecoq de Boisbaudran, he first determined its density to be 4.7 g/cm3. Mendeleev was so sure of his prediction that he wrote to Lecoq and told him to check again. It turned out that Mendeleev was right: gallium’s density is actually 5.9 g/cm3 (and its atomic weight is 69.7). Despite constructing the one thing that every chemist over the last 150 years has spent years of their life poring over, Mendeleev was never awarded the Nobel Prize for Chemistry. He was nominated in 1906, but the story goes that Svante Arrhenius — who had a lot of influence in the Royal Swedish Academy of Sciences — held a grudge against Mendeleev because he’d been critical of Arrhenius’s dissociation theory, and argued that the periodic system had been around for far too long by 1906 to be recognised for the prize. Instead, the Academy awarded the Nobel to Henri Moissan, for his work on isolating fluorine from its compounds (no doubt impressive, not to mention dangerous, chemistry). 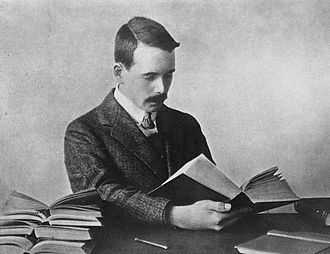 Henry Moseley proposed that atomic number was equal to the number of protons in the nucleus of an atom. Mendeleev died in 1907 at the age of 72, just before the discovery of the proton and Henry Moseley’s work, in 1913, which proposed that the atomic numbers of elements should be equal to the number of positive charges (protons) they contained in their nuclei. This discovery would have pleased Mendeleev, who had already suggested, based on their properties, that some elements shouldn’t be placed in the periodic table strictly in order of atomic weight. After which, of course, came the discovery of the neutron — which would finally clear up the whole atomic mass/atomic number thing — atomic orbital theory, and the discovery of super-heavy elements. 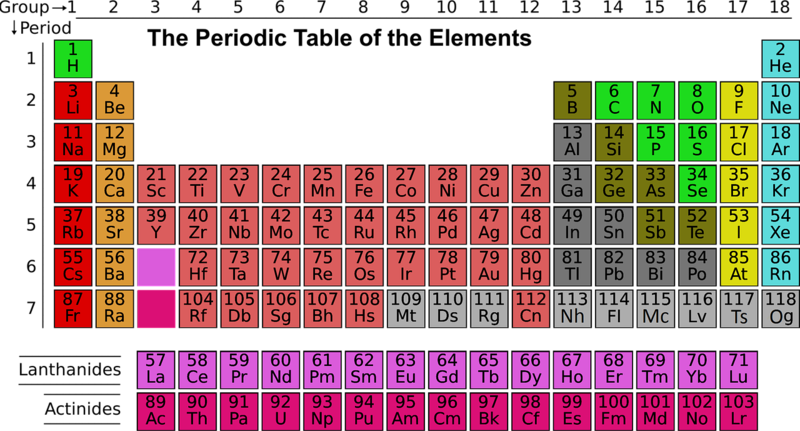 The most recent additions to the modern periodic table were the official names, in 2016, of the final four elements of period 7: nihonium (113), moscovium (115), tennessine (117) and oganesson (118).